Fashion Polish: NEW at Harlow&Co : KBShimmer Summer Vacation collection! Hi guys, I hope that you're all having a great weekend! We haven't had the hottest Summer here in France but that hasn't kept me from wearing holos. Squeeze The Day is a bold yellow scattered holo with copper shimmer. Shady Beaches is a blush orange scattered holo with rose gold shimmer. Flock This Way is a raspberry pink scattered holo with copper shimmer. Berry Chill is a warm purple scattered holo with violet shimmer. Kiwi Real is a green scattered holo with grass green shimmer. No Wave! is a turquoise scattered holo with blue shimmer. Hashtag You're It! 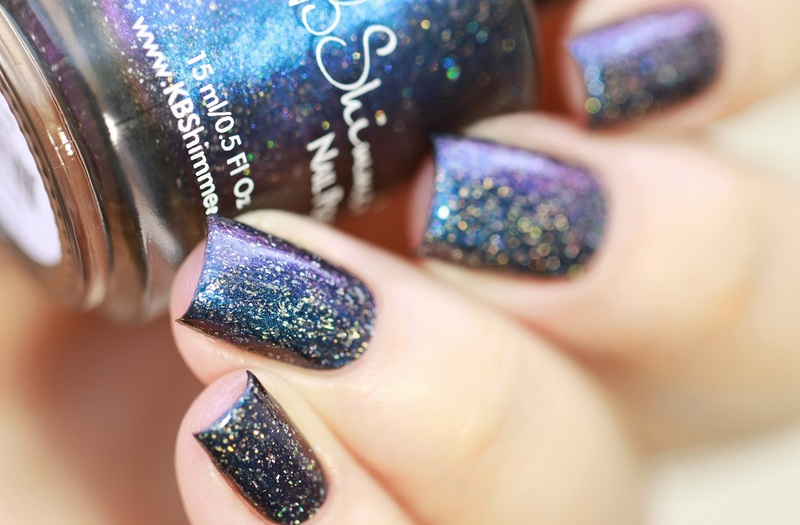 is an indigo scattered holo with blue to purple shimmer. I'm Onyx is a blackened blue to purple duochrome with scattered holo. I really love it when KBShimmer releases collections that consist of a variation around a certain finish. Scattered holo has definitely been popular lately and I couldn't be happier about these... So many pretties! My favorites : I'm Onyx (duh! ), No Wave, Flock This Way and Shady Beaches. 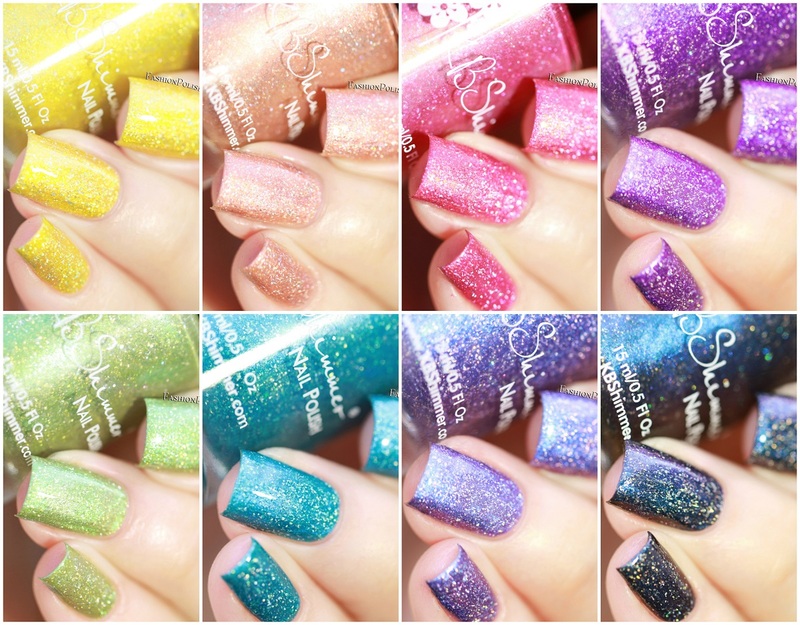 The KBShimmer Summer Vacation collection is currently available at Harlow&Co. Individual polishes retail for CAD$12.50 each, i.e. approx. $9.35 / 8.80€ / £7.5 (free shipping over $25 within Canada, over $50 in the US and over $100 for international customers).